Planet Hulk (2010) - AoM: Movies et al. 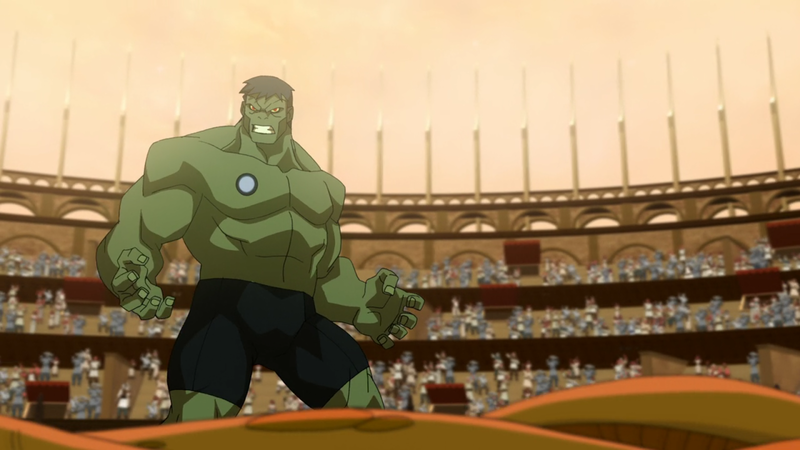 While I didn't want to watch such a lowly rated movie, I've seen six out of eight films in the Marvel Animated Features series and decided to make the effort and watch the remaining two, Planet Hulk and Thor: Tales of Asgard (2011). 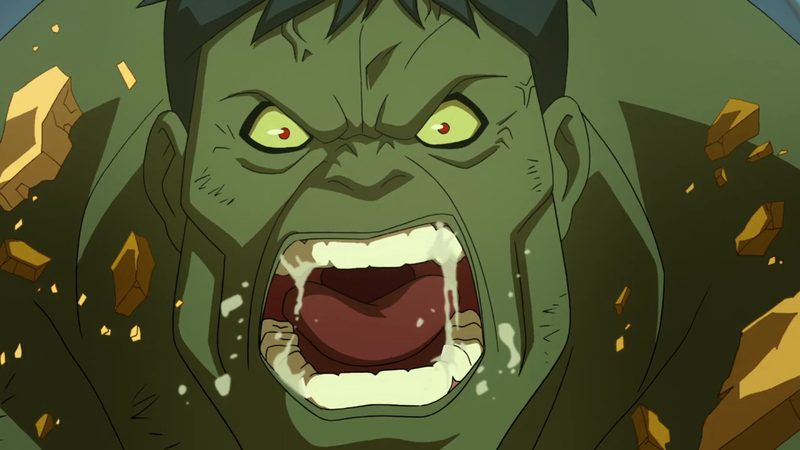 With that being said, I enjoyed the movie a lot, in particular more than the previous, Hulk Vs. (2009). Netflix rated the movie for me at 3.5 stars. I rated it 4 out of 5 stars on Netflix, it's probably closer to 7 or 7.5 out of 10. "The talk bots have reached your brain by now, so you must understand me." 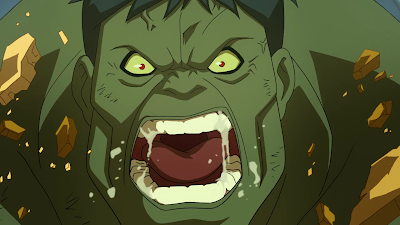 The Hulk speaking intelligible English. 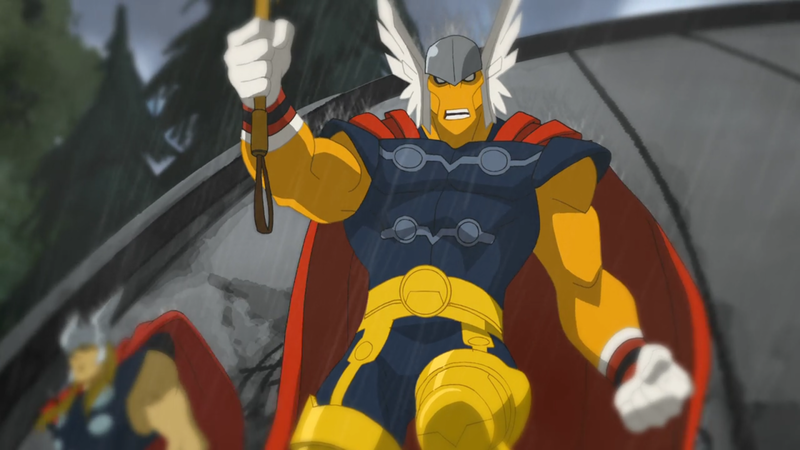 Well as we saw in Hulk Vs. Thor, Hulk beats Thor, and assuming this guy is equivalent to Thor, Hulk should eventually have no problem. Breaks the disc, frees him. Continues to pummel him. 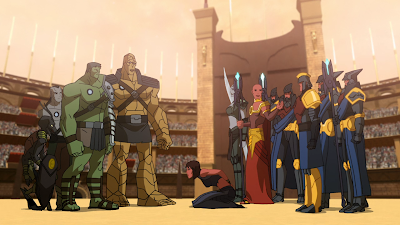 "Earth is no home of mine." 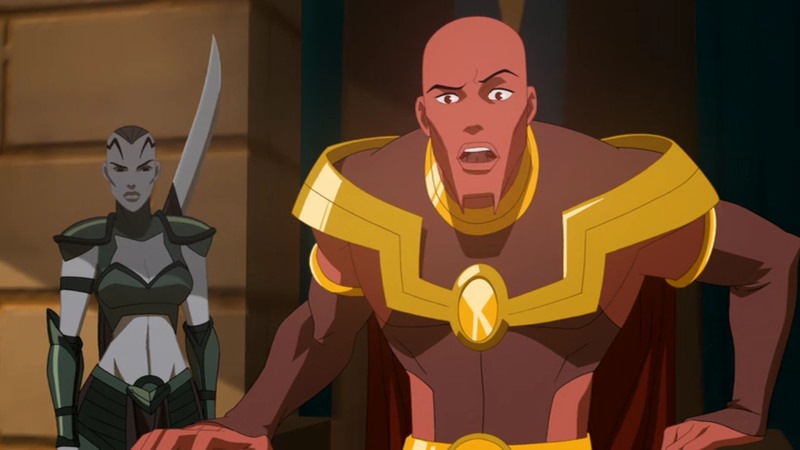 "Funny, cause now I'm going after his." 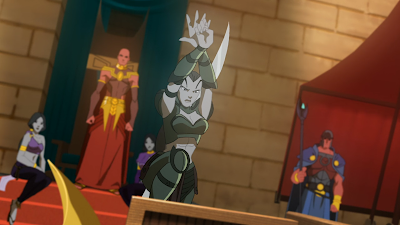 Oh wow, she's pretty strong. "I know, I sent them." Lol, idiot. Fuel the fire on the one person that's been able to protect you. "Oh, I'm not dead, I'm just mad!" 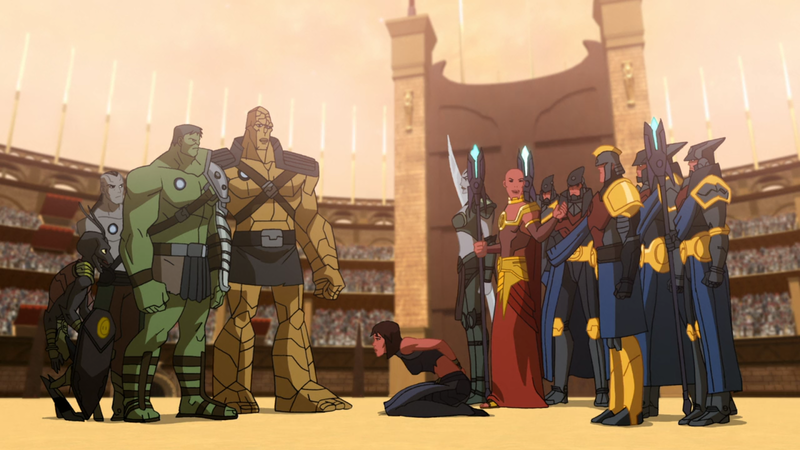 Left to Right: Miek (Sam Vincent), Hiroim (Liam O'Brien), Hulk, Korg (Kevin Michael Richardson), Elloe Kaifi (Advah Soudack), Caiera, Red King, and his guards.